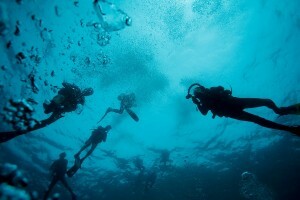 How is Scuba Diving In Ocho Rios, Jamaica? | Visit Us to Find Out! 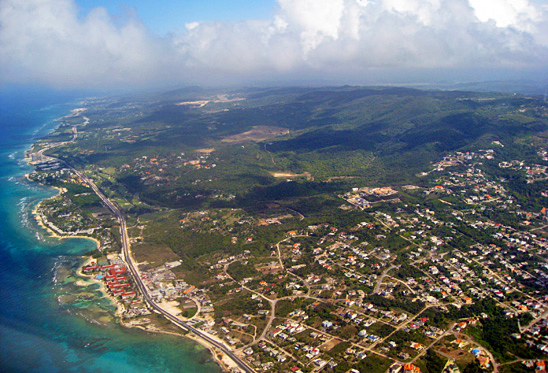 A view of Ocho Rios, Jamaica from above the city. 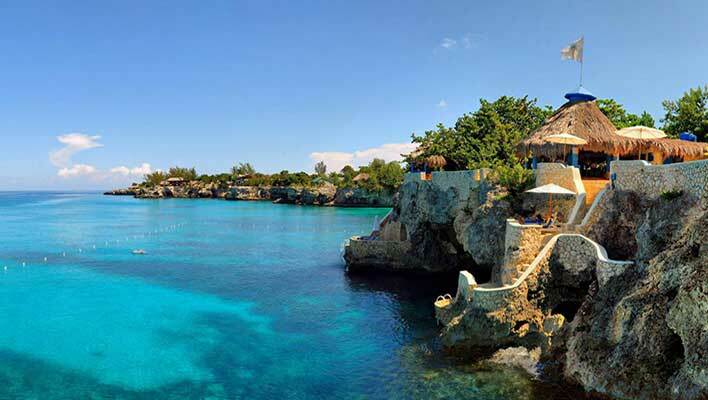 Have you ever been interested in scuba diving in Ocho Rios, Jamaica? Ocho Rios, or Ochi, on the Northern coast of Jamaica is a hugely popular cruise ship destination and thriving tourist area. The main deep water pier can host up to 3 large cruise ships at any given time. 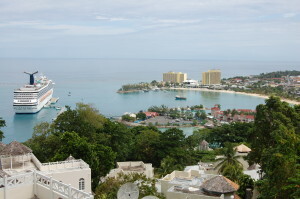 Rarely is there a day in Ocho Rios where there aren’t thousands of cruise passengers roaming the streets of the city. Ocho Rios is located on the beautiful North East side of the island, in the parish of St. Ann, and is situated near the Jamaican Blue Mountains. Set on a beautiful scenic hillside, surrounded by very lush garden vegetation, Ocho Rios has been called picturesque for its great beauty. Many luxury villas and top rated resorts line the hills and beaches of this area with fantastic views of the bay. 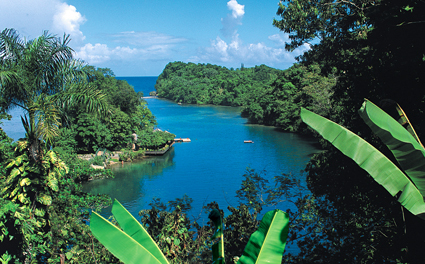 Ocho Rios has a lot to offer its visitors. With so many beautiful island beaches to visit, luxury ocean front accommodations to stay in, private hillside villas to relax at and top notch restaurants to enjoy; Ocho Rios is a destination that’s hard to beat! An extremely popular cruise ship destination with visitors arriving almost every single day. Thousands come here and take island day tours and excursions to visit the beautiful areas surrounding Ocho Rios to enjoy all that this island town has to offer. Many great spots are nearby to explore, such as the famous Dunn’s River Falls and Park, to the Martha Brae River for rafting, to the scenic Fern Gully and Shaw Park area, for stunning pictures, on the hillside above Ocho Rios. Learn underwater photography in Ocho Rios. Scuba diving in Ocho Rios, Jamaica is an experience you soon won’t forget. 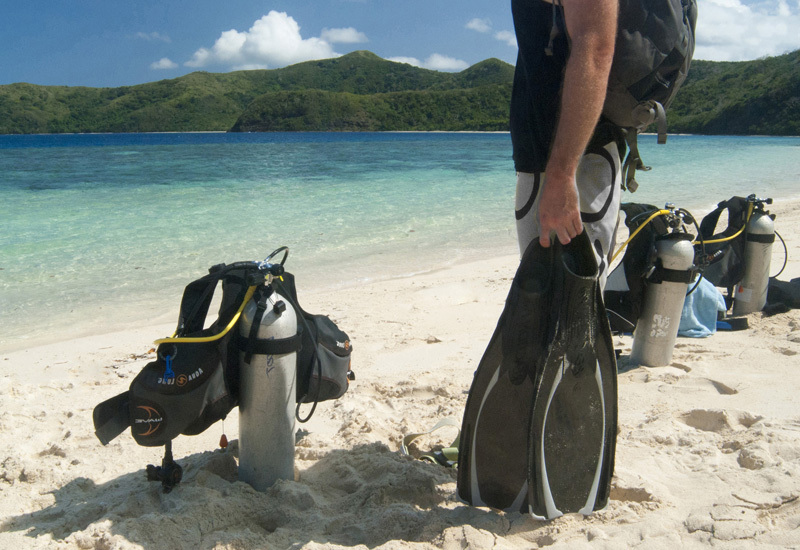 From challenging drift dives to underwater wrecks to explore, there are some great dive sites around Ocho Rios. The main beaches in Ocho Rios are Mahogany Beach and Mallard Beach. Mahogany Beach is a small beach with a lot of action and activity on the days that the cruise ships are in Ocho Rios port. There are restaurants, bars and lots of different water sport vendors. Here you can find jet skis to rent, glass bottom boat rides to go on, snorkeling and scuba trips are available as well. Local music pumps this area throughout the day. Mallards Beach is the main beach in Ocho Rios Bay. It attracts tourists and beach goers from all the surrounding downtown Ocho Rios area hotels. Easy to get to and very popular. You can find all sorts of water sport action going on here as well. From snorkeling and scuba diving in Ocho Rios to glass bottom boat rides to parasailing and more. On the days the big cruise ships are in port, it’s quite the site to see the ships from the beach. They are huge! Like shopping instead? There is a lot of Duty Free shops and many other great places to spend your money in Ocho Rios, including the famous local craft market. There you can find all sorts of handmade items from many skilled artists and craftsmen around the area. Also nearby, Island Village is Ocho Rios’s newest shopping and entertainment attraction. Located along the beach just minutes away from the cruise ship pier in Ocho Rios, its picturesque open-air setting, scenic boardwalk, natural spring lagoons and beautiful landscaping provides a refreshing experience. Visit the Ruins in Ocho Rios and see Eden Falls. 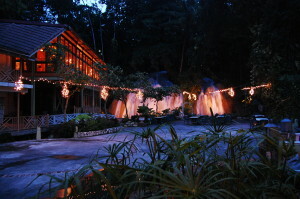 Another awesome place to experience and take in is Eden Falls at The Ruins in Ocho Rios. This place is very special. Open for lunch and dinner, historic waterfalls and garden tours and also weddings and special events, this exotic place is a tropical paradise centered around a waterfall that cascades into the Caribbean Sea. Bring your camera to experience all that this wonder has to offer. Located just minutes away from the main pier in Ocho Rios. No trip to Ocho Rios is ever complete without a visit to the famous Dunn’s River Falls. This popular tourist attraction receives thousands of visitors every year. It’s natural waterfalls cascade down hundreds of feet into the Caribbean Sea below. Take a climb up this chillingly cold cascading waterfall, 600 feet to the top, led by excellent and experienced tour guides. Stop for pictures, swimming and relaxing in the waterfall pools along the way. The falls are bordered by lush, green vegetation that shades the area from the hot sun. A spectacular experience not to be missed while visiting Ocho Rios. Contact us or visit our Jamaican tours page for a full list of the different day tours and excursions we can arrange in the Ocho Rios area. Go sight seeing to places and on adventures that will let you experience more of the island than just the underwater side. There are lots of fun things to do in and around Ochi that are sure to leave you with great memories of your Jamaican vacation.